Show your Mum how cultured you are and make her proud… The British Museum has a collection of works by Rembrandt Harmenszoon van Rijn; no wonder we just know him as Rembrandt! To mark the 350th anniversary of the death of the world’s much loved Dutch painter, a collection of rarely seen drawings reveal a personal side to his drawings which differ vastly from his paintings. The British Library’s Islamic world gallery has just reopened too which is super interesting; spread over a fully refurbished two floors, the exhibition shows contemporary art, vessels made for royalty and every day objects. 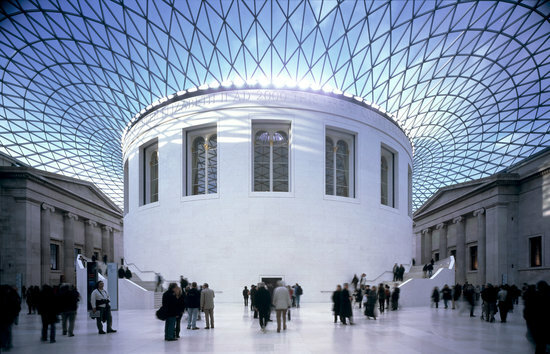 PS – if you didn’t already know, the architecture along in this museum is STUNNING and well worth the visit, just remember to look up. – Jenny Holzer at the Tate Modern: Holzer presents statements that can provoke strong responses, often in neon lights. you can usually find her work on the streets or in galleries. – Wildlife photographer of the year at The Natural History Museum: this one speaks for itself… Discover the breathtaking diversity of Earth and the challenging stories behind the photographs! Have you been to the Savoy Hotel? It’s impossible to leave without feeling spoiled, so treat your mum like the queen she is for the day. 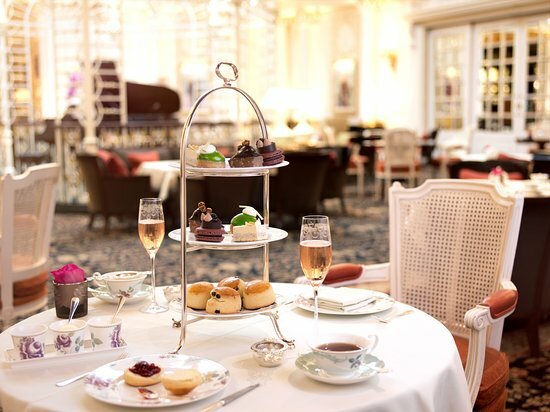 They also now offer vegetarian afternoon tea AND vegan afternoon tea, so we can all go, yay!! If you have any little siblings they can go too as they are launching The Tiger That Came to Tea at the Savoy, a spin on the classic book. But if you want something a little more grown up I hear they have some pretty good live music once the evening rolls around… Why not finish off afternoon tea with cocktails after all? Serving times on Mother’s Day: 12pm – 6.45pm. – Prêt-à-Portea, Dior at the Berkley: The iconic designs of Christian Dior have taken to the ‘cakewalk’. I hear they taste as good as they look! – Maitre Choux with Laurent Perrier: A sweet pink afternoon tea consisting of Chouquettes, éclairs and choux, paired with one glass of Laurent-Perrier La Cuvée! – Tipsy tea at Mr Fogg’s botanicals: There are actually a few options of afternoon tea at Mr Fogg’s, all located at one of their London locations! From ‘Cream cakes and cocktails’ to ‘G and tea’, each one sounds absolutely divine. Speaking of cocktails, they can make for a great mother’s day. Just you, her and good conversation is sometimes all you need. To make it a little more special, just add a London skyline backdrop and you’re good to go. One of my favourite cocktail spots? Sushi Samba. This mother’s day they are having LIVE samba dancers. Head up to the 38th floor of Heron Tower and get ready for a day to remember… If you get hungry, they are serving a brunch too! Fingers crossed the skies are clear so you can really get the most out of the incredible view. For those of you who want to stay a little closer to the ground, Sushi Samba has just opened another branch in Covent Garden too! – City Social: Inspired by the London landmarks that can be spotted from the bar’s panoramic view, they serve a selection of beautiful cocktails! Book online to make sure you get a table! – Bokan: A dockside bar overlooking Canary Wharf, Bokan’s menu is inspired by European cuisines that have flowed along the Thames since ancient times. Pretty cool right? They do brunch too. 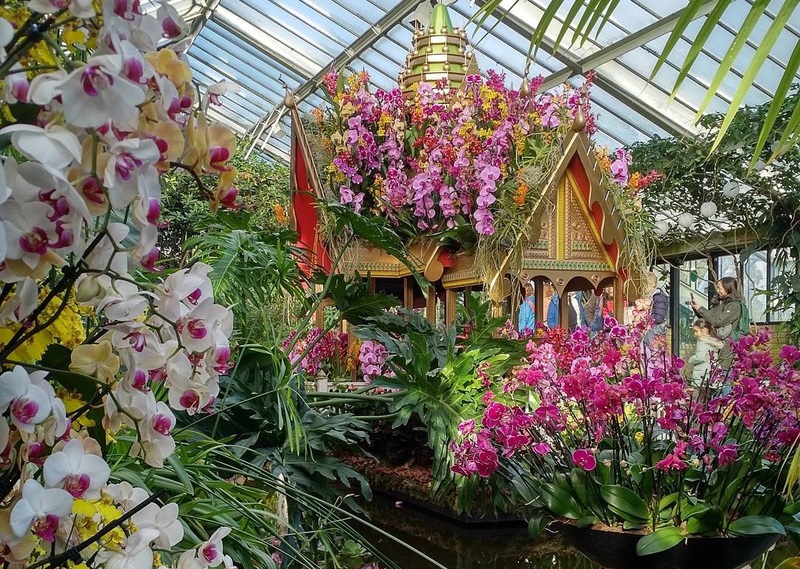 For TWENTY FOUR years Kew Gardens has been celebrating the orchid once a year with a dedicated festival, can you believe that? The botanical gardens will be bursting with colourful species… Apparently this year is designed to illustrate the diversity of Colombia’s landscape, all the way from the beaches to the snowy mountain tops. – Go blossom hunting in Notting Hill, you’ll definitely feel like spring is springing. The streets near Portobello Road are not to be missed. – Regent’s Park: discover the largest collection of roses in London in their stunning rose garden! My recommendation, Four Seasons. I’m all about the views now the weather is getting slightly better. What treatment should you get I hear you ask? The Four Hands treatment (very in keeping with the establishment) is incredible. Two masseurs work to leave you feeling relaxed and calm. 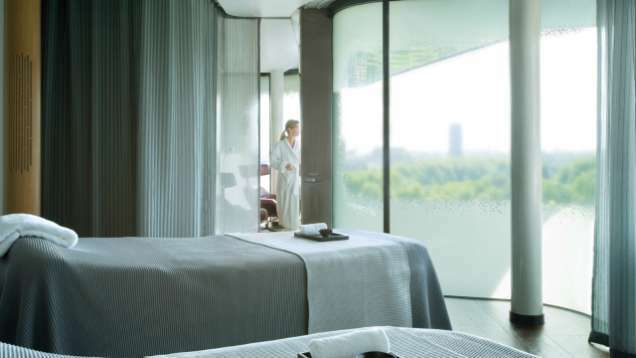 – Cowshed in Shoreditch House: Describe as the place to go for party prep and recovery treatments, this is the perfect place to go before taking your mum out for dinner or simply to unwind and relax. They have treatments from your ‘horns to your hooves’. – The Beaumont: Located in Mayfair, this is a subterranean spa where you can de-stress in calm, dip in and out of the plunge pool, sauna and steam room, or enjoy a tradition hammam on their heated marble table.